Clearly, I was born at least 10 years too late. Aside from, well, people who write about cars and the friends I have who know how to operate a clutch pedal, cars are of shockingly little interest to most people my age. And here’s more evidence to prove that. A study commissioned by Zipcar, the carsharing thing Millennials use to out of the city to go to IKEA when they can’t repurpose milk crates for something, is promoted as saying Millennials would be more devastated if they parted with their smartphone than if they had to ditch their car. It just makes me want to throw my iPhone out the window of my car. The survey included 1,015 adults, 303 were 18-34 year-olds, and revealed those Millennials say that transportation apps for things like Zipcar, Uber, etc. And those apps make it easier to get around than car ownership in many cities. In fact, it makes it so owning a car isn’t even on their minds. "We're living through the most important shift in transportation in generations – the creation of a new mobility society. Soon we'll live in major metropolitan areas that include networks of ubiquitous, mobile-app powered on-demand mobility services." Yes, they are convenient. On late, cold Boston nights when hailing a cab was next to impossible, Uber is a freaking miracle and a Cadillac DTS is a way swankier ride than a Toyota Camry Hybrid taxi. But let’s remember not all Millennials are anti-car and many of us do, in fact, aspire to own nice things and a car can put a smile on your face and takes you places. 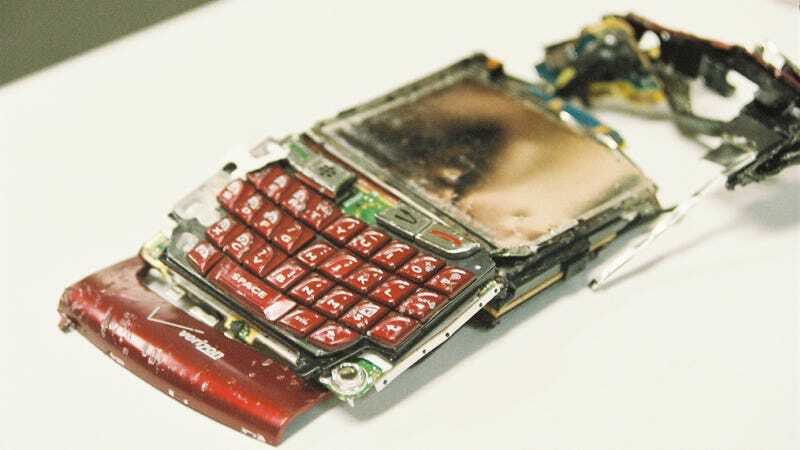 What BlackBerry can do that? Note to companies: not all of us aged 18-34 live in a tech bubble where all we care about are apps. Some of us are really, really fascinated with turbochargers wrapped in good-looking packages. Those of us who disagree just haven't spent enough time in something that goes fast. But hey, many of us were raised in Ford Explorers. We just don't know better. Here’s the full study in case you’d like to see more frightening images in the form of slides. To car enthusiasts who aren’t Millennials, I’m sorry. I’m trying to convert my car-ambivalent friends as fast as I can.